We all do it. We reflect on relationships of days gone by. We think of what could have been, what would life be like now if we hadn’t split up with this one or that one. This series is my own personal reflection of past loves. These won’t be ranked, or ordered, I don’t want to damage any feelings. 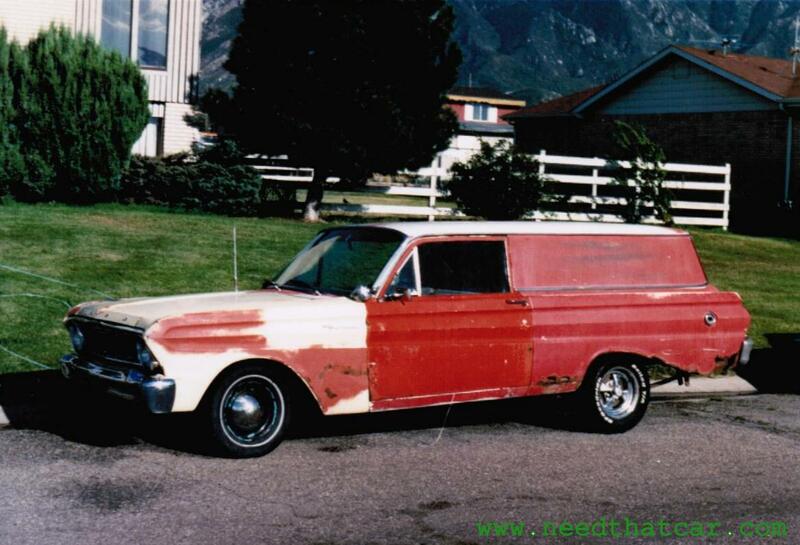 Installment #1: My 1964 Ford Falcon Delivery. Click through to wander with me down memory lane. The car didn’t run when I bought it. The guy had a new generator in a box and told me that it ran otherwise. 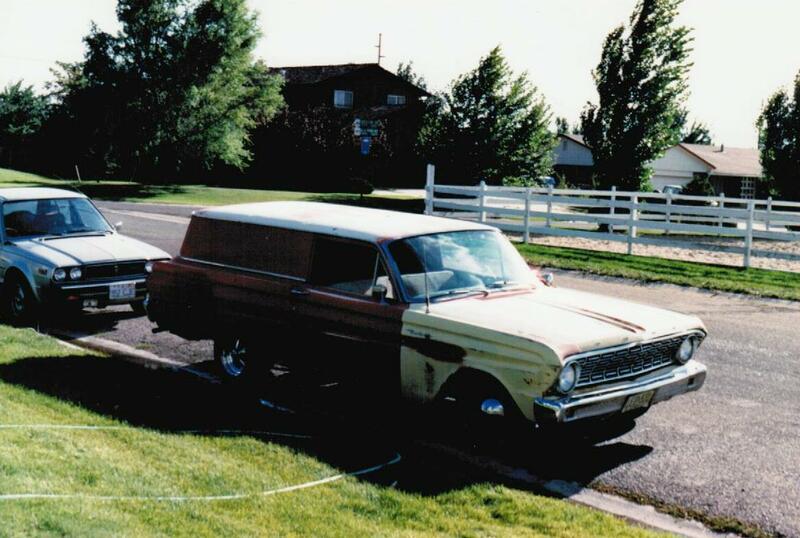 So, we towed it home with a strap behind my Plymouth Arrow. Along the way, with a friend driving the Arrow and me driving the Falcon, a truck blew through a stop sign and would have hit us had we not both locked up our respective brakes. We probably smoked a half a pack of cigarettes trying to regain our composure before getting back on the road. Got home, spent 15 minutes installing the generator, and it ran fine. Dented an oil filter badly before I realized the engine mount was broken. Had more rust than any car I’ve ever owned. 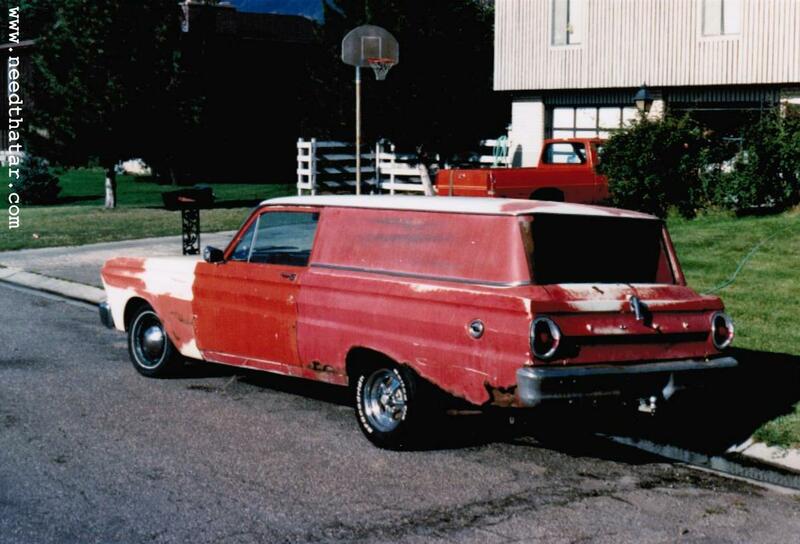 Only 776 total Sedan Deliveries produced in 1964. One of the rarest cars I’ve ever owned. Sold it to a guy who knew nothing about cars but wanted a cool vehicle to haul his band’s equipment. He used it for at least a couple years as I saw him driving it now and then. I have bought cars for parts that don’t count, but the rest I bought because I loved them in some way. Some more than others. Some didn’t last. Some stayed. Some I wish I still had. Some I’m glad are gone. My life has always been punctuated by cars, and all things considered, they have been a positive influence. Stay tuned for more nostalgia. This entry was posted in 1960s, Items of Interest (Not for sale), To all the cars I've loved before, Weekly Wagon. Bookmark the permalink. Very cool car. I think the two door wagon (shooting brake?) is my second-favorite body style. And as a Ford guy, I’m digging it extra. Sweet ride. If it wasn’t so committed to returning to the earth, I may have kept it.